A breathtaking and beautiful exploration of our planet. This groundbreaking book, which accompanies the new BBC1 TV series, provides the deepest answers to the simplest questions. 'Why is the sky blue?' 'Why is the Earth round?' 'Why is every snowflake unique?' 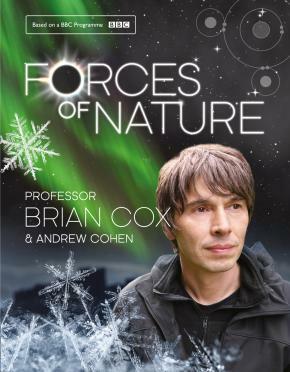 To answer these and many other questions, Professor Brian Cox will reveal some of the most extraordinary phenomena and events on Earth and in the Universe and beyond. From the immensity of Earth's globe to all the world's myriad snowflakes, the forces of nature shape everything we see. Pushed to extremes, the results are astonishing. From the realm of auroras to the heart of our planet, the ingredients that make everything on Earth connect each one of us in an eternal cycle of life. Brian will reveal why Earth is the most colourful world we know, exploring the white light of the sun as it travels through the darkness of space until it hits Earth's atmosphere where it begins a new journey, splitting into a rainbow of colours. From the great plains of the Serengeti, the volcanoes of Indonesia and the precipitous cliffs in Nepal, to the humpback whales of the Caribbean and the northern lights of the Arctic, Brian will give inspiring answers to our most searching questions that will illuminate our understanding of the planet like never before. Think you know our planet? Think again.